What To Look For in a Residential Property Manager? Owners make their rental purchases to generate cash flow, take advantage of tax benefits through depreciation and value appreciation in their investments. But once the investment is purchased, reality hits many owners who are not aware of the activities that need to be taken to protect and manage their investment. Like any investment, real estate investments need to be managed properly and make them grow. This can take time, be frustrating and if not properly managed, can even create legal and financial liabilities for the investor. Owning rental property just to make money is not a "sit back and count the money investment". It must be managed properly. Hence the need for a qualified property manager. Adhere to Federal and State Housing Guidelines - failure to follow these can generate both financial and legal risk. Many tenants know these rules and how to use them to their benefit so if you are not knowledgeable your risk is increased and your liability is greater. Optimize your Rental Income and ROI - setting a rental rate too low will leave money on the table, too high the home may not rent, but getting it right will reduce vacancies and optimize your income on the property. Market Your Property - when the home is available for rent, it needs to be listed and rented quickly. Your property manager needs to understand marketing, handle incoming calls/emails, show the property and answer the many questions prospects ask, over and over again. This is very time consuming. Screen For the Most Qualified Tenants - getting a bad tenant in your property is more than late rent, it is possible damages to the investment, legal fees to get them out, lost income, etc. It is also more than just a "credit check". Personal and prior landlord References, employment and court histories should be checked, verified and validated so your investment is protected. Use a Strong and Legal Lease - once you have found the "right" tenants, you will need to use a strong, enforceable lease and additional disclosures to protect your rights as the property owner. For instance, how much security deposit is allowed? Can you enter your "investment property" at any time? 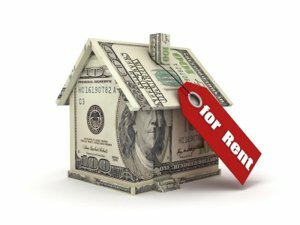 What happens if the tenant does not pay or just leaves the property? If you plan to sell the property, what do you have to do with the tenant? Manage On-Going Maintenance - when tenant calls come in at 3am, who are you going to call? Are your repair/service people insured, bonded and available to meet your tenant needs and do you even know what to tell them to do, how to connect with the tenant legally, and what the repair cost should be? A property manager can handle this for you! Questions to ask a prospective residential property manager? How does the property manager handle your investment funds and the tenants funds? 40% of Bureau of Real Estate violations are due to improper management of funds by the property manager. Are they kept in a trust fund? Are they insured? Are your funds secure? Does your property manager follow Fair Housing Policies? Failure to understand and apply Fair Housing policies can result in lawsuits against the property manager, increase your risk as an owner and potentially reduce your rental income. How will they maximize your rental income? Understanding local market rents, targeting rental differentiators that attract quality tenants will generate more rental income and longer tenancy for your portfolio. What protection do they propose against large expenses i.e. furnace, A/C, plumbing, electrical etc.? Unforeseen expenses can negatively impact your return so you need to make sure you have tools and systems in place to minimize those risks. What financial reports are available to you? Can you access on-demand 24/7/365? Your rental property is an Investment and as such should be treated with the same professional reporting you expect from your other investment brokers. Why settle for less when you do not have to? Is your Property Manager Certified? Make sure that your property manager not only business and real estate experience, but has been certified by their peers in the industry by passing courses to show they understand their role to help protect your investments. What vendors will they use if/when repairs are needed? Make sure that all vendors used on your property are licensed, insured and bonded so that in the case of an accident to the contractor or your tenant, your liability will be minimized. Is the Property Manager aware of the Unlawful Detainer (Eviction) Process? One of the greatest ways to loose money on your investment is to not be able to collect the rent. To make sure that risk is minimized your tenants need to be properly screened, but in the event an eviction is needed, your property manager needs to quickly get the issue corrected so your rental income is not impacted. Not knowing the Eviction process may not only delay your income but may also increase your liability of the tenants are not cooperative. Click here to see a call flow for the Eviction process. Why On Demand Realty Property Management? Not all Property Management firms are the same. On Demand Realty is a Certified Property Management firm that treats you as an investor and as such we want to be clear with you on the services we offer and the flow of events in our process. #1 - Protect Your Investment - you bought your properties to generate cash flow and and take advantage of appreciation and depreciation. You did not sign up for 24/7 tenant calls, showing the house for rentals, checking backgrounds, or worse the hassle of knowing the process to evict a client and collect back rent. Your property manager should provide all these services for you, as part of their fee. #2 - Be Accountable to YOU - the Property Manager must be responsive to your needs and the needs of your tenants so that your goals are understood, your investment is maximized and your tenants are satisfied and remain in your property. You should have means to contact your property manager via phone, email and text and agreements on response times. #3 - Provide Transparent Communications - all communications of the property manager with the tenants and vendors should be available for your review as well as any communications between you and the property manager. #4 - Provide Accessible Online Reports - you should have online access to your financials for your entire real estate investment portfolio managed by your property manager. This should be on a per property view and a consolidated view. Reports should be accurate and include Balance Sheets, Income Statements, Rental Reports and Delinquent Accounts, etc. You should have online access to important documents such as Leases, Move In/Move Out, tenant communications, work orders, etc. #5 - Protect the Security of Funds - On Demand Realty holds all your funds and the tenants funds in trust accounts with Wells Fargo Bank. These accounts are FDIC insured up to $250,000 per depositor. Our operational funds are NEVER co-mingled with your or the tenants funds. You need to know, it is illegal for property managers to co-mingle owner and tenants funds and doing so raises the risk of issues with your tenants and the Bureau of Real Estate if there is ever an audit. Click here to view how we manage funds. #6 - Real Estate and General Business Knowledge - your property manager should know the local real estate laws, understand the need to maximize your ROI (return on investment) and manage the TCO (total cost of ownership) in your interest. At the same time they need to know how to screen clients, manage tenants and work with vendors to protect your investment. We have access to National Association of Realtors tools to help you assess the value of a property relative to the market whether you want to flip or hold for income or investment, PLUS we can add our local market experience for additional guidance. Management Fee - this may be a % or flat fee and paid monthly as a deduction from the rental receipts. Placement Fee - this may be a % of the monthly rate or a one time flat fee. Reserve Funds - A % or flat fee amount of funds provided by the owner, per property, to cover incidental expenses such as plumbing, electrical, roofing emergencies. Owners should instruct their managers to "cap" the amount per expense. Owners will be required to replenish the fund if consumed. Financial Reports: Click here to view sample financial reports. Tenant Reports: Click here to view sample of Tenant Reports. We will gladly discuss compensation programs for referrals from licensed Real Estate Professionals and Property Owners, prior to entering into any property management agreement. If you have interested owners, please email us at On Demand Realty or give a call at 925 464 1006 and we'll get back to you promptly to discuss details. Use this internal search tool to find valuable information within On Demand Realty website. Search for City Names, Schools, Prograns i.e. VA/FHA, Assistance programs, Blogs, etc. Protect and Maximize your Investment. Use links below to learn how On Demand Realty Property Management can help you reach your goals!